Where there are students, there are opportunities for investors. McMaster University, home to over 30,000 students, pertains a large residential area opposite and adjacent to the main campus. This gives investors the opportunity to provide students with nearby housing accommodations and rentals. If you or someone you know is looking to make an investment please click here and fill out the form, and I will respond directly to your email in less than 24 hours with listings and information in regard to the area! There is one group of investors that say student housing is the end all and be all when it comes to generating income through investments. And then there’s the group that has owned them and will never touch one again. Why such different opinions in this real estate market? Well, different opinions are based on different experiences. Most student rental houses cash flow extremely well. Student homes hold anywhere from four to eight, sometimes even more, students at a time, this generates high monthly rental income. Definitely higher cash flow than if you rented out the house to a single family. So what’s the other side of the coin? You’ve already guessed it I’m sure. Student rentals require hands on management. Compared to regular single family home rental properties these have more maintenance issues and sometimes awkward vacancy challenges. With five, six, seven, even 9 students in one house there are going to be times when you have to deal with a broken window, door, light fixture, lock, washer/dryer, etc. But with the right connections, you can find all the above for cheap prices. Students don’t care for the quality, they just care if it works. Another thing to keep in mind when you learn about real estate investing is how you will handle vacancies. And if one student can’t stand another after a few months they may just pack up and leave. If they break the lease and walk out you’re only real recourse is small claims court. It can be difficult to find a student who wants to move into a house where they don’t know anyone, right in the middle of a term. You can get a good idea about the prices paid by students for housing by checking out the college or university housing website. They all have them…. click here for an example of McMaster University’s. This will help with what awaits you in the sellers market…Things such as,high demand, shorter list time, multiple offers and low inventory. The sellers market can be a very stressful one, so be prepared and don’t let emotions get the best of you when a good deal knocks at your door! Get packing! Buyers enjoy envisioning what it would be like to live in the space they are viewing. With clunky furniture and personal memorabilia scattered across the rooms, the buyers have a hard time foreseeing themselves living in the home. Start with the personal stuff: children’s artwork, personal albums, souvenirs or any type of ‘shrine-like’ collections you might have. Keep it clean, neat and open for someone else’s mind to visualize what it might be like to live there. Not necessarily to your liking, but to the liking of the majority of people who will be viewing your home. Your taste might be specific and that might reflect in the layout of your home, but most people want to see an open playing field where they can paint their own picture of what it would be like to live in the space they’re looking at. The best combination for the best result is usually neutralizing your home with a modern twist! Choosing the right price for your home isn’t easy, that’s why asking your Realtor for comparable sales on homes sold or still on the market in your general area is key when making such a decision. The next step after setting your price and putting your home on the market is being ready for buyers to come view your home when applicable to them, that’s why your home always has to be in tip-top shape. Vacuumed floors, sparkling kitchen and bathroom, clean bedrooms, neat closets and lit up rooms… Nobody wants to enter a home with all the lights out, keep it lit, this makes it easier for the realtor to show the home without flickering all the lights off and on and also gives a smoother presentation. As previously mentioned, choosing the right price isn’t easy, but that’s what your Realtor is there to help you do. Finding current sales of similar properties with lots of pictures and details including how long they took to sell, what they sold for compared to what they listed for will make your pricing decision a lot easier. After conducting research of the general area, along with an appraisal of your home, ball parking a price that will benefit you and at the same time attract buyers shouldn’t be too hard. Nobody wants to live “the Ready Lifestyle” forever, that’s why choosing a reasonable price is key! Invest in the stock market or get hitched? Not a common question among young couples looking to wed, but how much money could you have made if you used it as an investment for the future over taking those steps down the aisle. TOURISM HAMILTON, DOWNLOAD THE APP TO YOUR ANDROID SMARTPHONE OR IPHONE! Tourism Hamilton has created an APP for that! Whether you are looking for a local restaurant (like Chucks Burger Bar on Locke Street in South West Hamilton, a landmark, or want to visit one of the Beautiful Waterfalls in Dundas or Ancaster,or hike through one of the Conservation Trails in Westdale or relax and have a picnic or enjoy a stroll at Bayfront Park or Pier 4 in North West Hamilton… this App will help. This GPS based App is perfect to use as your source for all your travel information, including accommodations, attractions, festivals and to find any place of interest. You will even find suggested itineraries as well as an interactive image gallery! 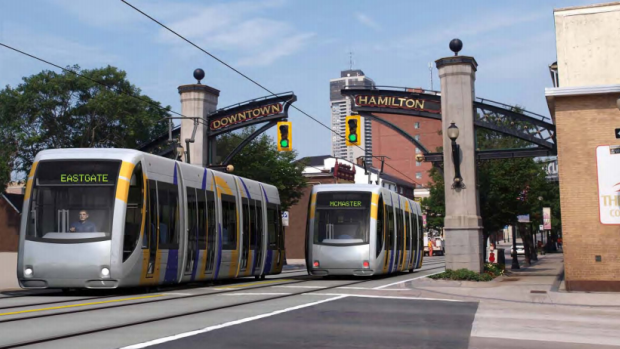 As Tim McCabe, General Manager of the Planning and Economic Development Department says,“Part of what makes Hamilton attractive to tourists and business owners is our unique opportunities; our location, buildings, natural heritage, culture, and balance between old & new”. Visit Hamilton App to get your download for iPhones, iPads, or iTouch. Discover ALL Hamilton has to Offer! If you have any questions about Real Estate (Buying a Home, Selling a House, Investing) in Hamilton, or any of the surrounding areas, including Ancaster, Dundas, Stoney Creek, Glanbrook (which includes Mount Hope, home of John C Munro Hamilton International Airport, and Binbrook) just send me an email at bianca@citybrokerage.ca and I will get back to you! The system would target McMaster Universities 25,000+ students and staff. It would also draw McMaster’s Healthcare Centre patients and staff along with families going to the Children’s Hospital. Between McMaster and Eastgate Square, there would be a total of 16 street-stops in between. 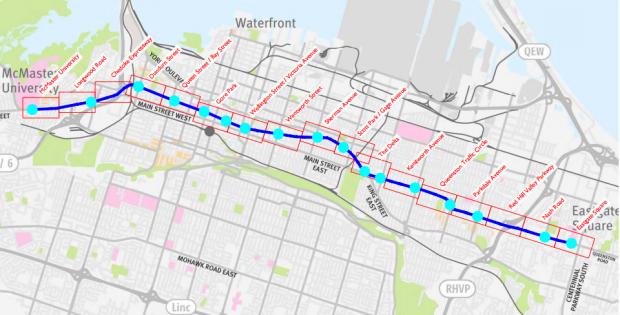 From McMaster, the line proceeds east along Main Street W. over Highway 403 on a yet-to-be-designed bridge over to King St. W. to go into downtown. Here’s what a stop would look like on King St. West. This is the eastern terminus of the existing bus B-line, and was the original end of the line for the LRT route. 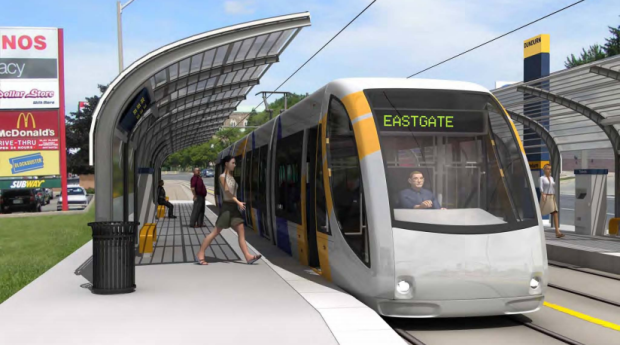 Tuesday’s announcement indicates that at first, the LRT line will go only part of the way to Eastgate. That would leave the eastern end of the city off of the economic uplift radar, at least for now. The latest housing market outlook from Canada Mortgage and Housing Corp. shows that, despite booming home construction, Toronto will see a nearly 13-per-cent drop in the number of single-family homes built this year.Construction of single-family homes in Canada’s largest cities is rapidly disappearing, the result of land shortages, changing policies and changing homeowner tastes. The REALTORS® Association of Hamilton-Burlington [RAHB] reported 716 property sales in the month of January 2015. Comparing these numbers to last year in the same month, there is an 8.3% decrease in sales. There were 1459 properties listed in January, a decrease of 2.8% compared to the same month the year prior. 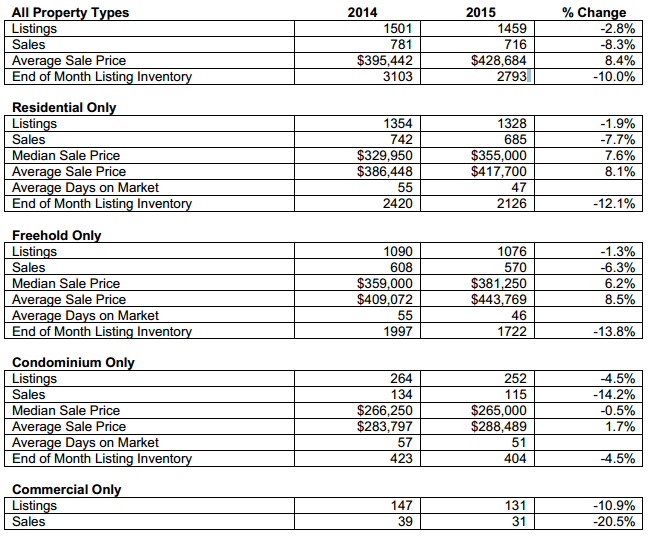 End-of-month listing inventory was 10% lower than last January, hence the decrease in sales. Although there was a modest drop in sales; the average price of freehold properties showed an increase of 8.5% compared to the same month the previous year and the average days on the market decreased from 55 to 46 days in the freehold market. The average sale price in the condominium market increased by 1.7%. Major Canadian bank economists say Hamilton will continue to be one of the strongest housing markets in the country in 2015. Some predictions are even more striking. “For 2015-2016, Hamilton is the only city where we actually have home prices growing over the two years,” said TD real estate economist Diana Petramala. 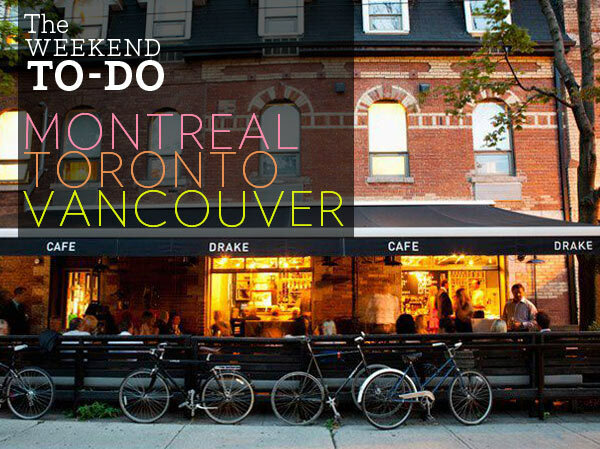 The TD analysis looks at the largest 14 cities in Canada. Over the last few years, Hamilton’s housing market has been hot, often ahead of the pack in how much prices rose or how many homes sold. The market has been a frequent talking point, its strength touted as evidence of the city’s vibrancy. Hamilton, where prices rose six per cent last year, has been experiencing the kind of sales and price activity more typical in Vancouver, Calgary and Toronto. While the rest of the country may wonder about the continued strength of local housing markets, Hamilton appears poised to remain hot in 2015. BMO Financial Group economists expect national housing prices to “scratch out a small gain” in 2015, said chief economist Doug Porter. No scratching expected in Hamilton. “I have to say the dynamics in Hamilton looks to be one of the firmer markets in the country,” Porter said.